A German vegetarian friend gave us this old family recipe: Peel one Celery Root per person, cut them in half and parboil until not-quite-tender. 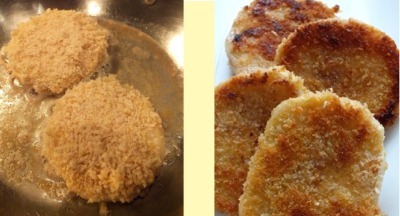 Slice them into pieces a half inch thick, dip them in a beaten egg and roll in breadcrumbs until thoroughly coated. Fry on both sides in lots of butter until crisp. Serve hot, sprinkled with Parsley and a few squeezes of lemon.